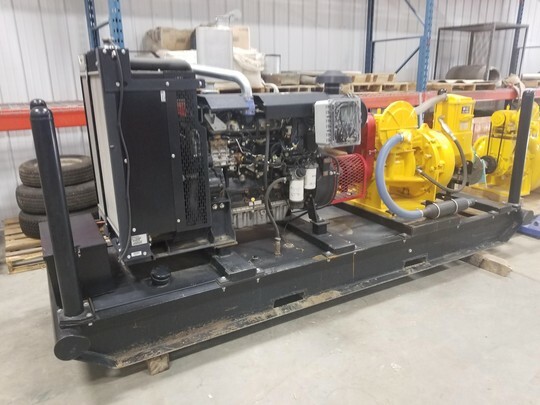 Canadian Pump Solutions Ltd started business with a simple philosophy, "Listen to our clients and Focus on what the customer wants, so the crew at CPS can deliver the best solution, getting it Right the First Time"​. Hidden or intangible costs drive customer profits down and CPS is here to be engaged as a business solution partner driving customer profits and satisfaction up. All to often our sales team hears how clients have been let down by suppliers by getting equipment that is not ready, reliable or just getting handed a product equipment list, so they can pick what they want. Canadian Pump Solutions clients have come to understand that the added support from a business partner they get for proper selection of equipment and reliability is the value-add CPS brings. environments such as quarries or mines. Whatever the job, we have the solution. Our products are designed for the rigours of rental, supported by decades of innovation, research and development.